Though national sociopolitical conversation is dominated by police killings and the subsequent uprisings, conversation here at Sheppard Pratt has been focused on National Recovery Month. In substance use treatment, the impact of the stigmatization of people with addiction has long been a topic of discussion, often centered on how the addict will manage recovery in the midst of this marginalization that is rooted in a lack of understanding about the disease of addiction. More and more, however, the conversation has begun to shift towards advocacy and advancing understanding of addiction, not just medically, but socially and environmentally, as well. The Substance Abuse and Mental Services Administration’s 2015 Recovery Month theme is Join the Voices for Recovery: Visible, Vocal, Valuable. Within this theme is an emphasis on the value of peer support in the recovery efforts of any individual, and a recovering person will often tell you that the value is reciprocal. Also within this theme is the call for those in recovery to be vocal in their communities. As treatment providers, we also need to emphasize this idea with the people we serve. The sense of purpose a recovering person may find by sharing their experiences might just save their life. Recovering persons must first be visible to themselves, reminding themselves daily to combat the stigma, guilt, and shame that are often part of addiction and recovery. Developing a positive self-script is critical. But they must also be visible to their peers, as their peers understand what they have been through, and many recovering persons crave this validation and understanding in times of struggle. The healing power of vulnerability can sometimes only be achieved with someone who has faced the same challenges. In the community, addicts are visible. Those in recovery need to be encouraged to be visible as well. The stigma of addiction often leads to hiding, or denial of past problems. This further exacerbates the stigma and can make it harder for those suffering to seek help. Recovering persons, when clinically appropriate, need to be encouraged to be more visible and vocal in their communities to help combat the permeating stigma of addiction. It shouldn’t just stop with visibility. The voice of the recovering person is crucial to their peers and to the community ̶ peer accountability is critical. It is the foundation of Alcoholics Anonymous and other 12-step recovery models. Recovering persons should support and encourage each other, as well as check on each other when they observe unhealthy behaviors and choices that could lead back to active addiction. The accountability of peers is often more powerful than the accountability of the clinician. When the recovering person’s value is integrated into the community at large, the full impact recovering people can have on societal change will be felt. If those in recovery learn how effective it is to support themselves and their peers, imagine how valuable a visible, vocal, recovering person could be. 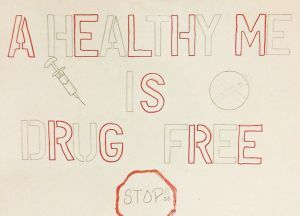 The image above is student artwork from the 2015 Mann Residential Hope, Not Dope assembly celebrating National Recovery Month. Duane P. Haley, LGSW, is a clinician at The Berkeley & Eleanor Mann Residential Treatment Center (Mann RTC), and is a founding member of Mann RTC's Substance Abuse Committee. 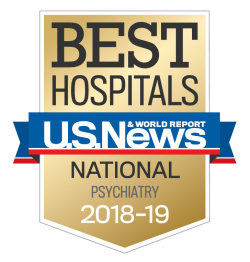 His primary focus is on helping adolescents experiencing co-occurring disorders apply dialectical behavior therapy (DBT) skills as part of their treatment program.